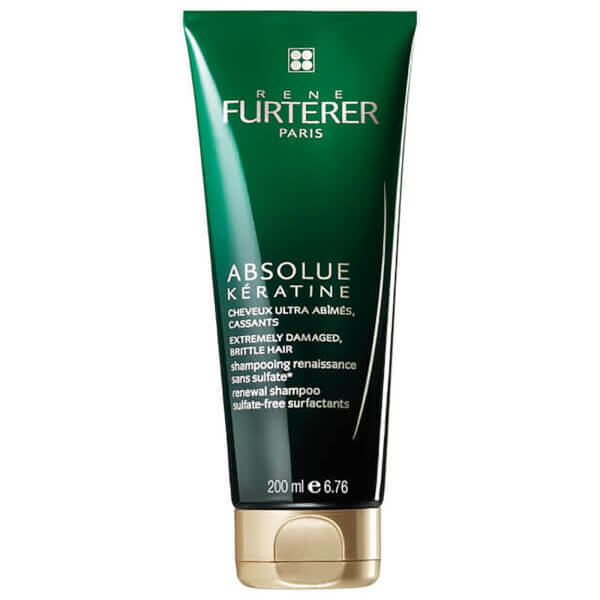 Renew extremely damaged hair with René Furterer Absolue Keratine Renewal Shampoo, a restorative formula that cleanses whilst promoting stronger, softer, healthier-looking tresses. Specially formulated to help intensely repair damaged, brittle hair, the velvety shampoo performs a gentle cleanse, lifting away dirt and impurities whilst rejuvenating the look of rough, dull and tangled locks. It contains extracts of Camelina and Plant Keratin to help soften and reconstruct hair, plus a dose of fatty acid and ceramide-rich Biocymentine. 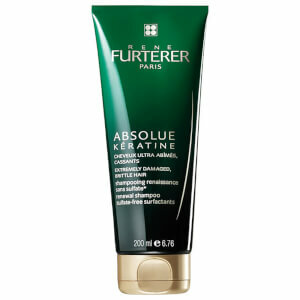 Suitable for daily use, the shampoo will leave hair with improved resistance, manageability, suppleness and radiance. Infused with a delicate fragrance. 100% natural-origin active ingredients. Free from sulphates and silicone. Wet your hair. Apply with the tips of fingers to the roots. Add water. Massage in to create a lather. Leave in for three minutes. Rinse thoroughly. Towel dry and follow with treatment of your choice.